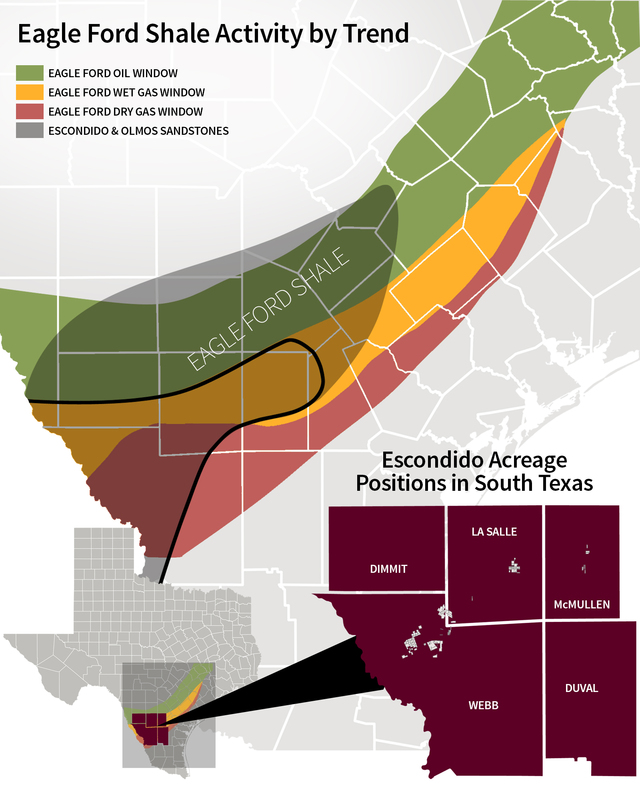 Escondido is headquartered in Katy, Texas and also has a field office in Encinal, Texas. Our operations are focused on the Eagle Ford shale and the Escondido/Olmos formations in Webb and La Salle counties in South Texas, where we have a total acreage position in excess of 40,000 acres and an inventory of more than 300 drilling locations. We have been producing natural gas, oil and natural gas liquids from the Eagle Ford Shale and the Escondido/Olmos formations for 14 years and have drilled more than 300 wells in the trend.